The excavation of "Lossen" created awareness about Hvaler in its time. The fast battleship was a well-armed frigate in the Danish-Norwegian fleet, built by Dutch shipbuilder champion Thiessen Harmen van der Burgh in 1684 on Isegran in Fredrikstad. Denmark-Norway and Sweden had a tense relationship in the years after the ship was built, and in 1717, "Lossen" was under Tordenskjold’s command during conflicts with Sweden. But it was not what sunk "Lossen". 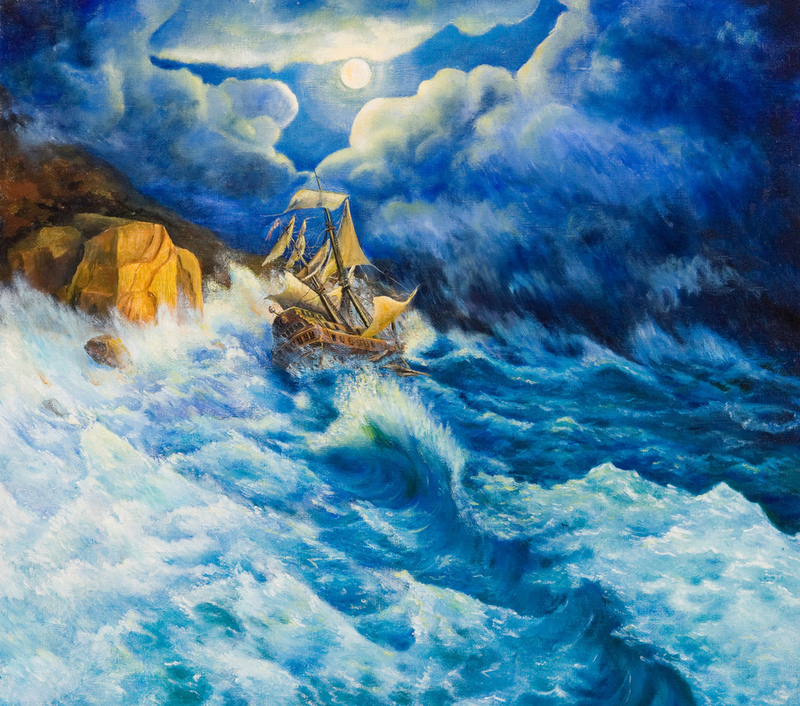 The ship was actually wrecked a powerful storm that ravaged northern Europe on Christmas Eve in 1717. Thousands of people died from flooding in the south of France, while "Lossen" and other ships followed the wind north. "Lossen" was taken out of control and smashed against the granite cliffs of Pulpit bay. About half of the 103 crew was killed, while the rest came ashore in Papperhavn. The wreck was found by divers 250 years later, in 1967. Commander Rolf Scheen found the story of "Lossen" through research work in Copenhagen in 1962 and was also central in efforts to locate the wreck. Over a twelve year period, inventory of the ship was found and the story around the ship was collected. Norwegian Maritime Museum conducted the first major archaeological project under water on the remains of "Lossen". This was the start of a cultural heritage under water in Norway. Divers searched the area and several guns were found lying in the sand at Stolen. Altogether, they recovered almost 4500 objects. At the Norwegian Maritime Museum, you can see the rich collection of artifacts that were found on board the wreck, such as Chinese porcelain, English clay pipes, buttons, wooden spoons, and oddly enough, many school scraps and other findings from a worldwide network of traded goods. It was expected to find more weapons parts, but most were marine equipment and personal items, which tells us a lot about life on board the ship. In 2012, Norway’s first underwater path for divers and snorkelers opened on the west side og Outer Hvaler National Park. “Lossen” lays six meters deep in the water and the path includes no interference to the seafloor since signs are created in stone slabs that lay on the seafloor. Nordic Blue Parks project-manages cultural heritage under water in the Nordic countries by using signs. The goal of these paths is to raise awareness of the environment and cultural heritage, while providing the public good cultural and natural experiences underwater. "Lossen" is one of the cultural monuments Norwegian Maritime Museum has chosen to boast in Norway, so that divers can read about the protection of underwater cultural heritage and history of the ship, as well as provide information about the plants and wildlife in the sea. Between the signs, there is a line that is attached to the granite blocks, so that divers and snorkelers are easily guided from sign to sign. The trail consists of five signs with the following topics: ship construction, ship's armament, cultural heritage law, flora and fauna. To make the underwater journey even more interesting, you can buy an A4 plastic sheet with additional information and overview maps from local retailers and Norwegian Maritime Museum. Good voyage to Hvaler’s exciting adventure and remember: Look, don’t touch!